Pride in ownership abounds within this wonderful second floor 2 bedroom, 2 bath, maintenance free condo, complete with a 1 car garage. 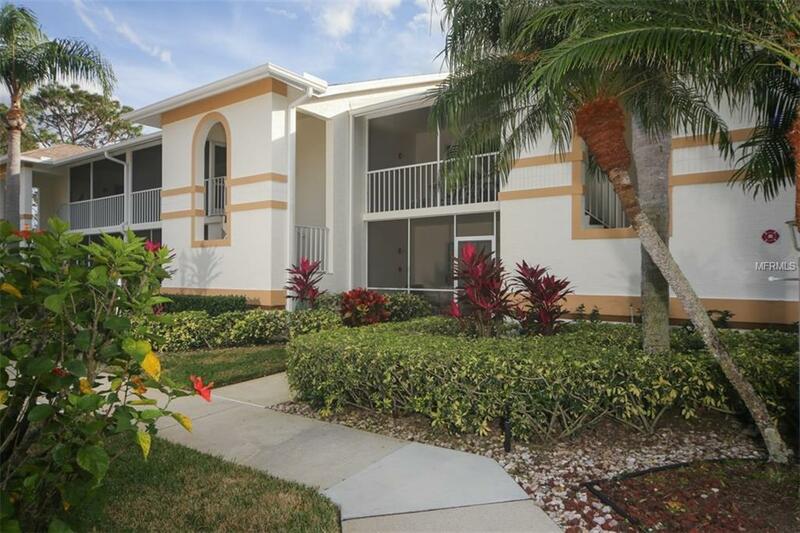 Sold turnkey furnished, you will appreciate this exceptionally well maintained home offering a bright and open floor plan with cathedral ceilings and both front & rear lanais to accommodate your sun & shade preferences. The generous master suite, spacious great room, and tranquil rear lanai overlook the 10th fairway. As the owner of this delightful home, you will enjoy an equity Class "A" golf membership to Tara Golf & C.C. Mandatory membership fees of $401 mo, $60 mo food minimum, a One Time Capital Contribution fee of $3500 payable at closing, annual fee of $834 to Tara Master Assoc. which includes an enhanced Comcast cable TV package with HBO, ESPN, expansive channels and music. Quarterly assoc. fees of $779 for total maintenance free living. Amenities included with membership to this private club are a championship golf course, Har-tru tennis courts, exercise facility with state of the art equipment, swimming pool, sauna hot tub, driving range, putting green, Clubhouse with fine dining/grill room and a very active social membership. The much desired community of Tara is located within minutes to world class dining, shopping, the Arts of Sarasota, 3 airports, our award winning beaches. Additional Lease Restrictions See Hoa information For Additional Restrictions. Leasing Must Be Approved By The Village Condo Association Progressive Property Management Judie Littell (941) 921-5393 Ext. 1135.